Lahore: The arrest of PML-N chief Shahbaz Sharif in a corruption case has been challenged by a top Pakistani lawyer in Lahore’s high court. A K Dogar filed the petition in the Lahore High Court on Monday, challenging the authority of Pakistan's anti-graft body — the National Accountability Bureau (NAB) — to arrest Shahbaz Sharif, opposition leader in the National Assembly and younger brother of deposed premier Nawaz Sharif, in the Ashiana-i-Iqbal Housing Project case. 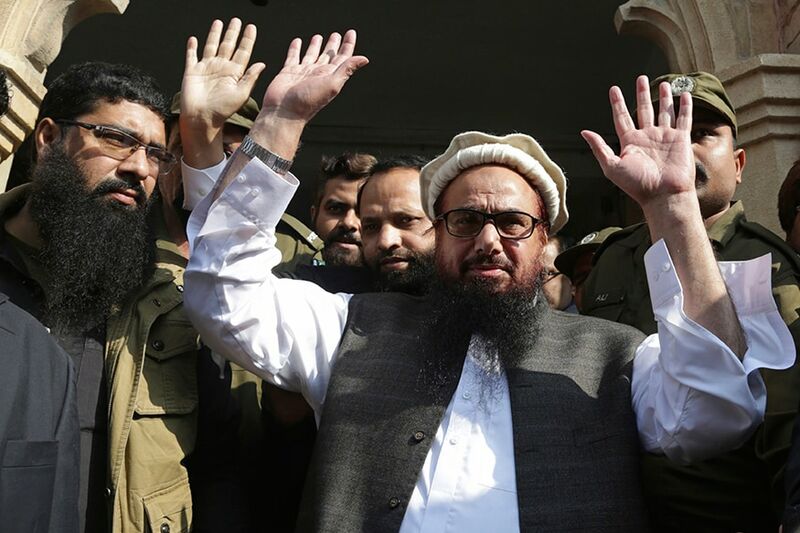 Dogar is also the lawyer of Jamat-ud-Dawah chief and 2008 Mumbai attack mastermind, Hafiz Saeed. He said the arrest of a person during investigation and trial is inconsistent with article 10(1) of the Constitution. "No person can remain in custody unless he is informed about the grounds of his arrest and such ground can only be established after investigation is completed. No investigation is constitutionally valid unless the accused has been granted the fundamental right," Dogar said. He further said article 10 of the Constitution gives the right to be defended by a counsel at the time of investigation, which former Punjab chief minister Shahbaz was not granted by the NAB. He requested the court to declare that section 24 of the NAB ordinance that allows chairman of the bureau to arrest an accused during investigation or inquiry is inconsistent with fundamental rights enshrined in article 10 of the Constitution. "I pray the court to set aside the order for the arrest of the opposition leader issued by the NAB chairman and release him on bail," Dogar said. The Lahore NAB arrested Shahbaz on October 5 after he appeared before a combined investigation team in this case. He is primarily accused of directing the Punjab Land Development Company (PLDC) to assign the Ashiyana project to the Lahore Development Authority, resulting in the award of contract to Lahore Casa Developers, causing a loss of Rs 715 million and eventual failure of the project. He has dismissed all allegations by the NAB. Nawaz Sharif has directed the legal resources of his party to contest NAB's plea for further extension of his brother's physical remand when it comes up for hearing on October 30. The ousted premier believes that NAB's case against Shahbaz is "very weak" and his physical remand in the bureau's custody should not be extended. Nawaz Sharif, who is on bail in the Evenfield properties case, is facing another two corruption cases and has been appearing in the accountability court in Islamabad on an almost daily basis.